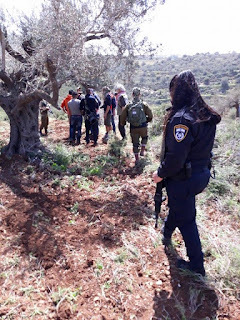 While maintaining a presence with a Palestinian friend, Myassar Atyani, on her land next to the Zionist colony of Eli, otherwise known in Arabic as the region of BirAli, we were confronted by the soldiers from COGAT, the colony security and the Israel police who came at first to observe the plowing underway. The COGAT military claimed to be protecting Myassar from the colony fanatics who had come prepared to throw stones. The soldiers came onto Myassar’s land surrounding us three internationals from New York, France and Canada. The latter one being me fitted with a Jewish Agency A1 visa for three years. One international from France escaped down the mountain. The soldiers first demanded that my camera be closed and then demanded its confiscation, as well as to turn over my passport. I refused to give up my passport and my camera was taken by force. I followed the soldiers up to the colony demanding the return of the video camera. At the colony road the soldiers demanded my passport again and I produced it and the passport was confiscated. I let them know that the Canada Embassy would object if it was not returned. After being photographed, my passport was returned. I still refused to leave until my camera and that of the other international from France were returned. After 2-3 hours the camera was returned with the memory wiped. A photo was taken of the ‘Tanweer’ Palestinian Cultural Enlightenment Forum vest that I wore. During the detention of ~4 hours we were variously told we were arrested for “criminal provocation” and then that we were not and then released but charged anyways. We were shown a paper declaring the land of Myassar to be a closed military zone. I asked if this was new order and the COGAT soldiers said it was not. the Territories < http://www.cogat.mod.gov.il/en >. That is to say, the bureaucratic name for the Occupation of 1967. The 1967 Occupation of the Gaza Strip was ended previously. 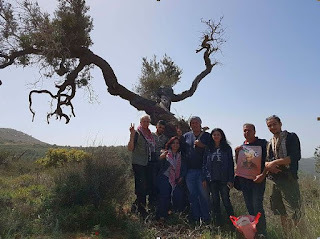 Myassar had a 5-day permit from COGAT to work her land but it was revoked that day on the pretext that the internationals were present, as if she could not invite such solidarity activists to help protect her from the settlers. Rachel Corrie was crushed to death in Rafah, Gaza in 2003 during the second Intifada, Tom Hurdell was shot in the head by a Druze Arab minority soldiers in Rafah as well. 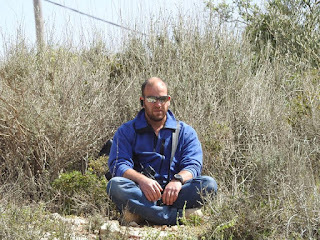 Previously he worked as a volunteer with the ISM (International Solidarity Movement) in the Balata refugee camp, Nablus, West Bank with me in 2003 for two weeks. When he told me he was going to Rafah afterwards, I remarked that it was dangerous and he said, “I know”. 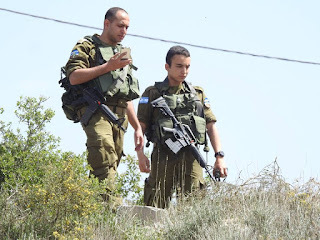 During our detention the soldiers of COGAT were present in addition to the regular soldiers of the area, many of whom were also settlers, as well as the settler security and the settlers themselves.. all with M-16 automatic rifles. So at first I sought to make the best of a poor situation and spoke in Yiddish to first the settlers, and then the soldiers, none of whom could speak Yiddish. So I had to switch to English and French, since two of the soldiers were actually French citizens and immigrants. The settlers would laugh at me initially when I was speaking and then after some reflection produced some ‘kahawah’ coffee which they offered to the soldiers and one settler even gave one mini-cup to a soldier to bring to me which I refused. The two other internationals were not offered any. My gesture of refusal took them aback and so they became curious. I was really pissed off and also refused the water bottle they offered and refused to sit as well. Then the debate began; their intention was to convince us of the righteousness of their actions in defense of the poor soldiers who were being attacked. Needless to say, the attempt to point out that many more Palestinians were being killed did not make an impression. One 18-year-old soldier did not even know about General Sharon’s massacre of 3,000 in the Palestinian refugee camp of Sabra & Shatila in 1982, thanks to Israel’s educational system. In response to my speaking Yiddish the onus was on the soldiers to claim a superior Jewish identity position and so accused Yiddish of being Hitler’s language. To which I could have responded that it was rather the language of the Ashkenazi Jewish Nation from which they were mostly derived as well as the language of Einstein and Freud but I chose to mention that their language of Hebrew was actually by origin from Mesopotamia/Iraq. Since they considered themselves the reincarnation of the Israelites I also mentioned that the original Israelite language was Aramaic and not Hebrew. This did leave an impression, so we moved on to other matters. Then the big question, which People did I support? Obviously both but that had not occurred to the COGAT officer in the first place. 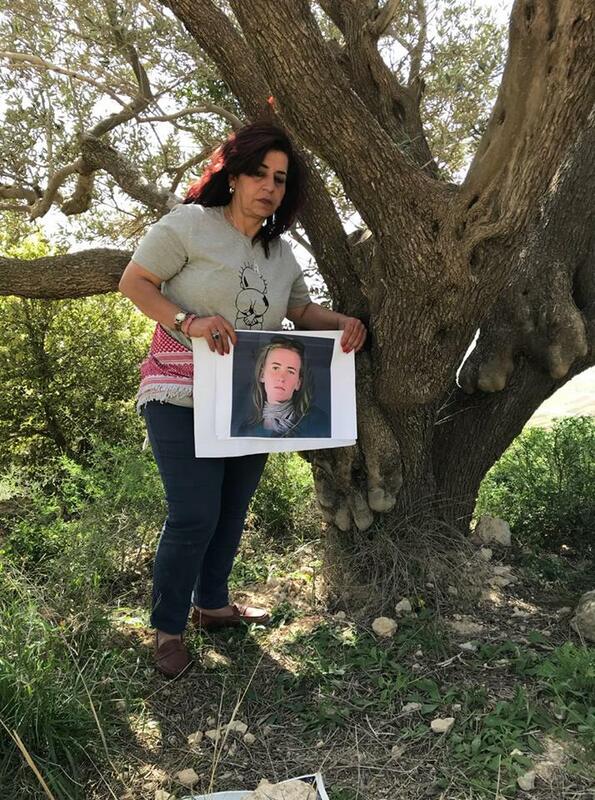 So we moved on and I raised the matter of how the cousin of Ahed Tamimi was hit in the head with a rubber bullet and had his skull crushed on the side of his head, nearly killing him. That was merely a mistake, he said. The case of the ‘settler’ (David) from the Yitzhar who I filmed shooting out of the back of his car during a protest in Hawarah last year and killing a young man Motaz, was not granted sufficient time to finish. 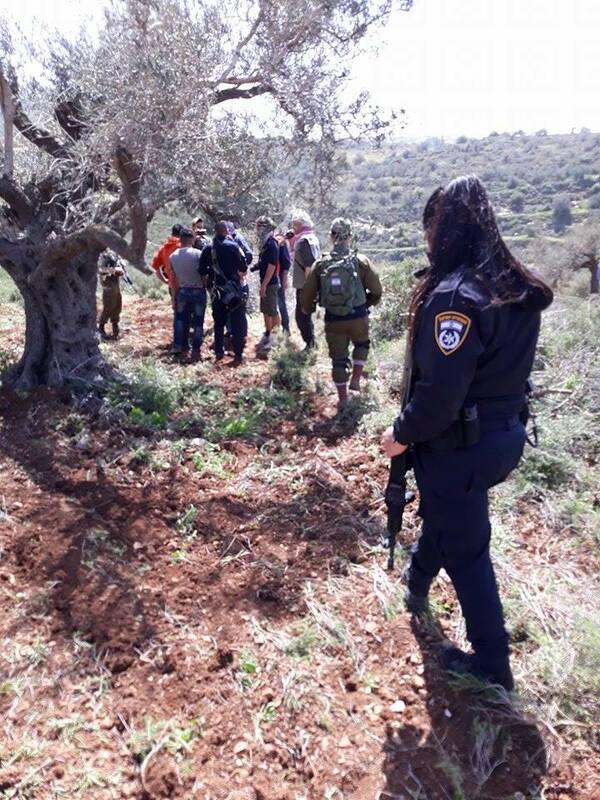 Speaking generally the COGAT officer asserted he was present to protect Myassar from the ‘settlers’ who had come to throw stones at her for daring to plow her land. I was supposed to congratulate him but I pointed out that we were there to protect her considering that many of the soldiers were also ‘settlers’. One soldier even went to hug a ‘settler’ to impress us with their solidarity. The COGAT officer claimed it was his mission to promote coexistence between the ‘settlers’ and the Palestinians. A noble mission no doubt but I asked him then why the Zionist settlements were placed next to the Palestinian villages in the first place and on the private Palestinian lands, without their agreement and without payment, otherwise known as theft. No answer. Taking the initiative I asked the COGAT officer how is it that the supposed ‘Jewish State’ is supporting the Christian supremacist President Trump of the USA who are seeking to expel or kill the Jewish-Americans, who are actually more numerous than the Jewish Israelis. That, he said, did not matter. I could have argued that if the majority of Jewish people living in the USA do not matter to his State then why should the Jewish north Americans care about his State. After three hours of debate and discussion and having received our passports back, I took a drink from the water bottle in the hot Palestine spring of 29° C that day. A settler woman came around to bring juice for the soldiers and I got some as well. Next came ice-cream for the soldiers and the COGAT 18-year old carrying two plastic dishes could not resolve what to do with them and so I liberated one from his dilemma. While waiting for the camera to return as promised, another soldier appeared to tell Lisa and me about how he was a case of an abused child and had turned into a bad person who does bad things. This was either a threat or a confession but we chose to take it as a therapy session and sought to convince him that his approach indicated that he was capable of good things as well. He insisted that the next day he could do bad things and discounted any other way of life. Another soldier insisted that we should be afraid of him. Both Marco and me asked him why we should be afraid of him and he replied that he had a gun. Looking at me he then flipped the safety off and seemed to ask for a reply. I explained that he could not shoot me because he would be arrested if he shot me. I pointed out that the soldier Elor Azaria was presently in prison for having killed a Palestinian Abdel Fattah al-Sharif, who was already dying while lying on the pavement. No answer and no shooting either. 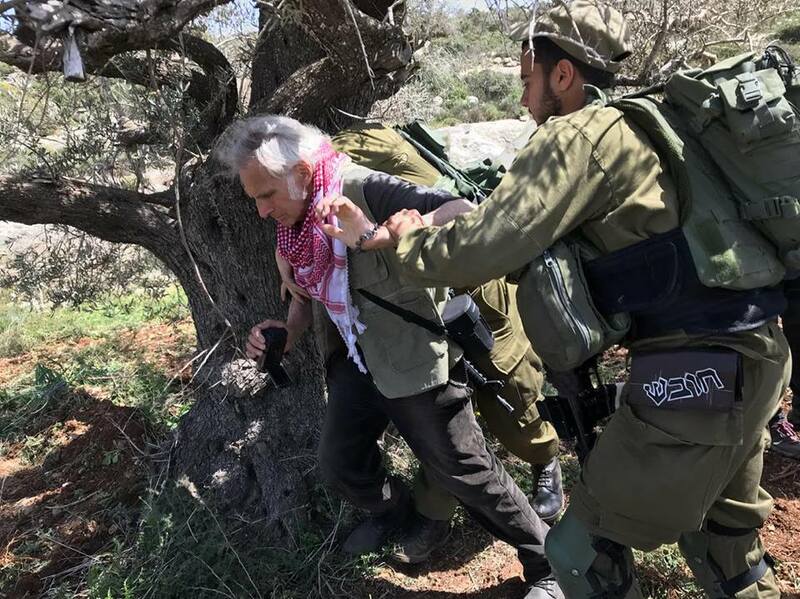 Then the heavy argument was produced by the COGAT officer who let us know he knew one Surah from the Koran that made reference to the killing of a ‘Jew’ hiding behind a tree. This was supposed to be a proof of the genocidal intention of all Islamic-minded people despite the favorable references to Judaism elsewhere in the Koran. He allowed me though to reply that each religion has such references and the one to be found in Judaism is in Joshua Chapter 6, verses 1-27 where Joshua is supposed to have carried the genocidal massacre of Jericho. Since his initial objection was to the Koran, it fell into a discussion of the HAMAS government in the Gaza which incidentally I informed him had won the election of 2006 in the first democratic Arab election. Of course the HAMAS Antisemitic Charter of 1988 was brought up but not the new Charter which removed all references to Jewish people per se. The previous reference to ‘The Protocols of the Elders of Zion’ was also removed. Currently of course HAMAS called for the mutual recognition of the State of Palestine and the State of Israel in the op-eds of The Washington Post and The New York Times.. but those things he had not heard of. He promised to look it up on the Internet but I wonder if he actually will. A young settler came walking by looking curious wearing ‘tsitis’, which is a religious prayer device with strings at the corners usually worn as an undershirt. He did not speak Yiddish either but I pointed out to him that while he was wearing his ‘tsitis’ I was wearing a ‘talis’ which is the prayer shawl that is worn in synagogues but in the form of the red Palestinian kufiya around my neck. The heavy-set ‘settler’ chuckled at this idea and I did point out that the pattern around the sides was the same as that in black around the traditional Jewish prayer ‘talis’ that he had not noticed before. Although the cameras were initially confiscated by the military and handed over to the police, they were returned by the Eli ‘settler’ security force but with the memories wiped. For some reason the soldiers were not proud enough to have their images captured and for the sake of security did not want the international public to see what their game was all about. Finally we left with our stuff and the two COGAT soldiers actually remained to protect us from any settlers who may have considered throwing stones at us. Of course Palestinian teenagers ‘shabab’ who throw stones to keep the soldiers out of their villages can be shot with rubber bullets or live fire or arrested and sentenced for up to ten years in detention but the ‘settlers’ just get a warning. and doing Yoga in the morning but a welcome escape nonetheless.